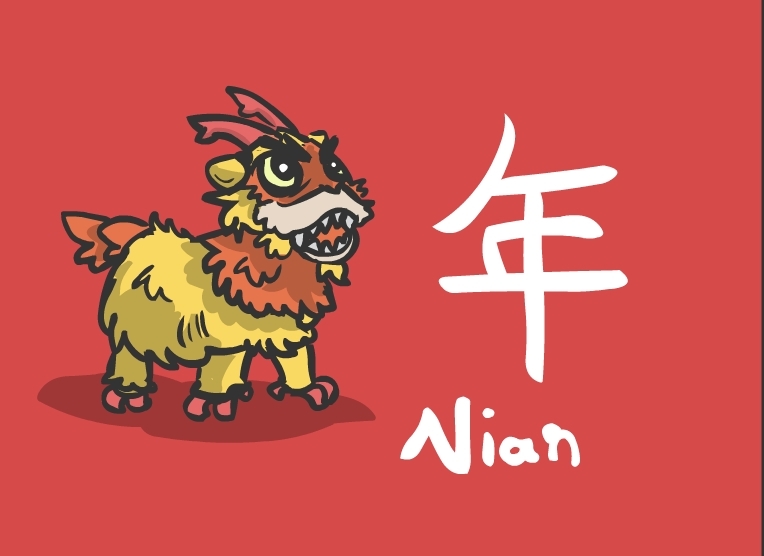 Nian- which means “year” in english, the chinese myth describe Nian as a mythical beast who eats the crops and attack people in the past. Every spring Nian would come out and attack the human. To protect themselves, the villager then put foods and offering outside their house, Nian would then eat those food and won’t attack them anymore. Thus happens every year, every spring festival, people would put offering for Nian. Nian also is afraid of red color, so that’s why on spring festival people would wear red.